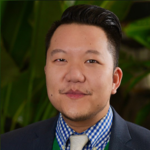 Bruce Thao is director of the Center for Health Equity and Office of Minority & Multicultural Health at the Minnesota Department of Health (MDH). As director, Bruce works internally across MDH to provide consultation, capacity building and training on how to integrate equity into all policies, programming, research and grantmaking. Externally, Bruce engages with the community, health partners and policy makers to advance equity for communities most impacted by health inequities. Bruce holds an M.S. in psychology from St. Joseph’s University and an M.A. and completion of all doctoral coursework in social welfare from the University of Chicago. He has been nationally recognized by Vice President Joe Biden as an LGBTQ leader. Bruce is also a 2013 Bush Foundation Fellow, a 2014 White House Champion of Change, a 2016 Ron McKinley Philanthropy Fellow through the Minnesota Council on Foundations, a 2017 Aspen Institute Scholar, and was recognized as “Young Professional of the Year” by the Saint Paul Area Chamber of Commerce in 2016.